How to Grow a Container Garden with Kids! Yay, spring is here! The days are getting warmer and we’re now past the point of when our area has its average last freeze. You know what that means… It’s time to get outside and start planting! Today I’m sharing this simple how to grow a container garden project that is just perfect to do with the kids! My kids have always been fascinated with planting seeds and trying to get stuff to grow. It’s so funny to watch them harvest seeds from apples, oranges, tomatoes (pretty much anything with seeds) and run outside together and plant them in the ground. Of course, I knew they were never going to see results this way. They were always so excited about planting their seeds, I didn’t have the heart to tell them nothing would happen. Plus, I just liked watching them play outside together and using their imagination. Want to make these cute little DIY Garden Markers? See the full tutorial here. The kids and I had so much fun together over spring break working outside on this little container garden. The best part of the project? These seeds will DEFINITELY GROW! To get us started on this project, I made a quick trip up to the local hardware/garden store and grabbed 2 wide containers. (I wanted to line the plants up in one container for each kid.) I also picked up some additional potting mix, and the supplies to make some cute little plant markers. (Want to make a set of these markers for yourself? Check out the tutorial here!) The plastic containers I bought were originally orange, but I used some spray paint for plastic we already had on hand and gave the pots a quick spring color makeover. 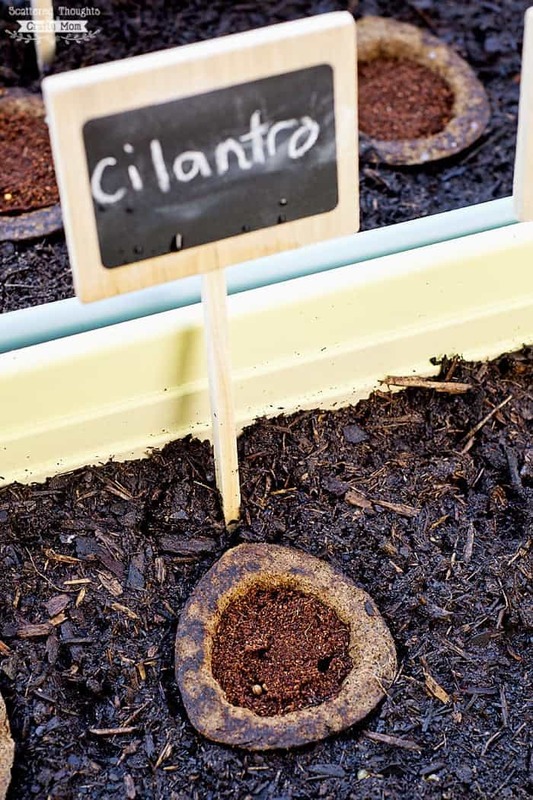 To make the container gardens, it’s as easy as filling the planter with potting mix, making a small hole in the soil, peeling off the Grow-ables lid and pushing the seed pod into the soil until the top of the pod is level with the soil’s surface. 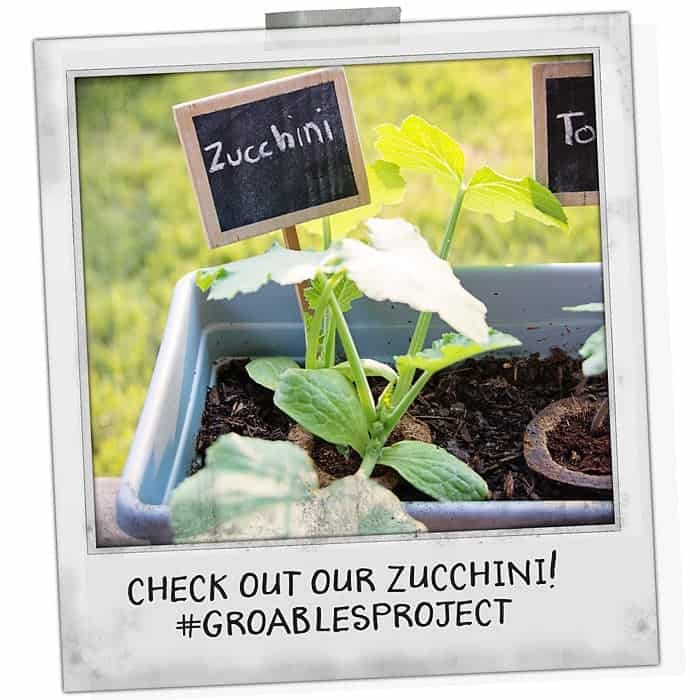 That’s it and each Gro-able is guaranteed to grow! Water daily and in 1-2 weeks your seed will sprout. Everyone is so excited to see the plants grow! Exciting! I bought some of those but haven’t planted them yet. I rent a house, so I only do container gardening. We actually planted these almost a month ago and they are really doing well! I’ll share updated pictures tomorrow when I post the little garden markers tutorial. Wow! this is an awesome idea, ill have to try it with my 2 year old she will love it. These are fantastic! I love that you got your kids involved in the planting too. This makes it so much easier to grow plants. Love it! I think even I could grow plants wiht those! Love your containers and signs! We used these last year. They were fun! I haven’t seen these yet! 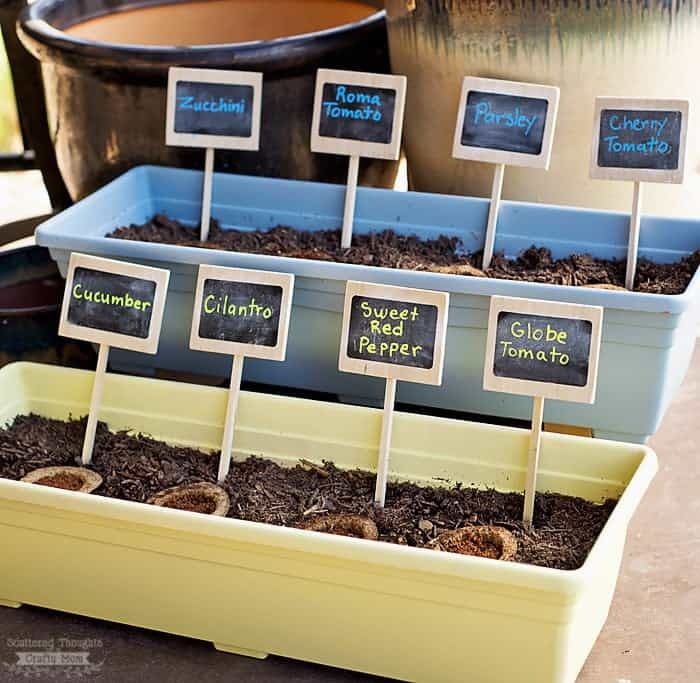 They look like a super easy way to get your garden started on the right foot! 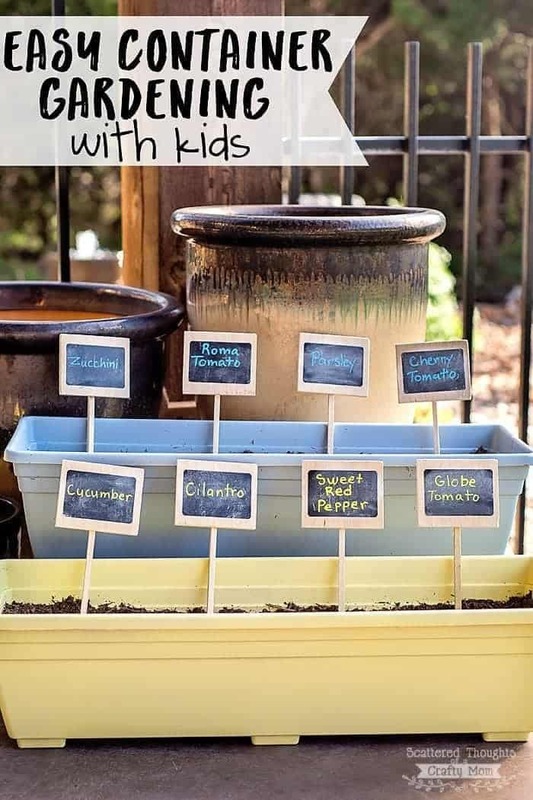 Super cute idea, love gardening with my kiddos. I love this idea too! 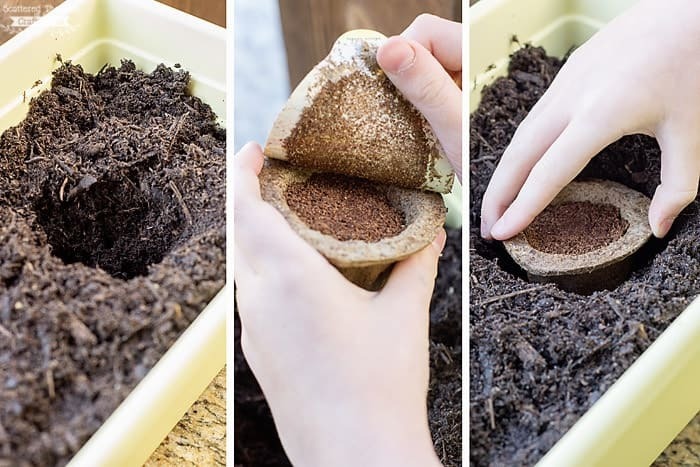 What an easy way to get kids involved in gardening. What a great idea! I can’t wait to get out in the garden with my kids. We just started our container garden! I love these! What a great way to start a garden especially with little ones. This is a great idea! We are excited to finally get to start our garden whenever this snow stops!